Phuket’s Phang Nga Bay, with its emerald green waters and stunning limestone islands will once again play host to the region’s leading experiential yachting event, which will be staged in partnership with the Thai government. 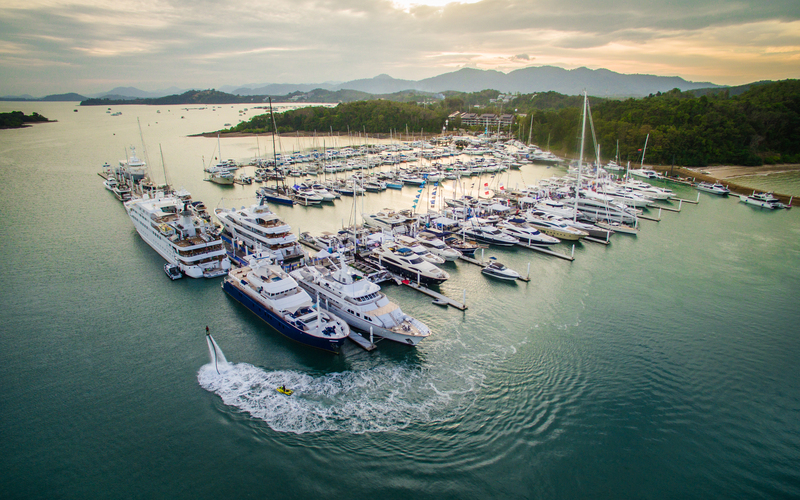 With a base at Phuket’s Ao Po Grand Marina, the 2018 edition will be unlike any other boat show – allowing potential yacht-lovers, enthusiasts and thrill-seekers to actually get out on the water and try a whole range of watercraft. Expect to ride the waves of luxury on the finest, trying anything from sailboats, sports-fishers, dinghies and tenders to water sport boats, day-cruisers and superyachts. Held during the Lunar New Year, one of the most event-filled periods in Phuket when the island becomes buzzing with regional visitors, the TYS will place an emphasis on the experience visitors will have and how it will enhance their ongoing yachting lifestyle. The extraordinary scenery of Phang Nga Bay will serve as a backdrop for electric shows, colourful parties and dazzling social gatherings, with VIP events on board yachts and floating night-clubs. The popular Demonstration Platform will also be returning again, allowing more intrepid guests to test the latest yachting toys and accessories, and engage in diverse on-water activities. Combining the best aspects of yacht charter, the boating industry and luxury lifestyle events, TYS attracts industry professionals and consumers alike, and is fast becoming the focal point of the luxury charter yacht business in Asia Pacific. Those looking to relax can slow down and soak up the atmosphere. The HYPE Luxury Boat Club will be the hub of such, where DJs will be spinning the latest in tropical beats, and bartenders will be keeping you cool with their exclusive yacht show cocktails.